When we set out to build Cloudbase™ over 6 years ago, we had one goal in mind - to build the world's best website content management system. Although it is difficult to measure the achievement of such a goal, we are very pleased with what we have produced. To build the world's best website content and e-commerce management system. Initially, Cloudbase™ was an incredibly powerful, click-to-edit content management system. We believed it could benefit any website owner / manager, and those that used it were very impressed. We soon realised that our core functionality, while brilliant in design and simplicity, was only the beginning for a technology that now forms the basis of all our web and mobile solutions. Since version 1 we have added multilingual management features, tight integration to numerous third party APIs (such as Twitter, Facebook Connect, Google Maps, iOS, PDF tools, PayPal, SendGrid, Campaign Monitor and many more), powerful organic SEO capabilities and an interface that is clean, beautiful to look at and easy to use. 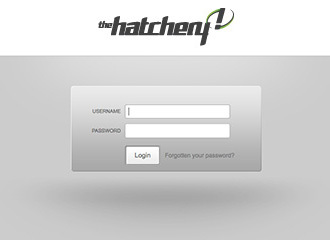 If not for our customer service, our personal approach to business or our skills in design and development, we hope you will consider The Hatchery as your technology partner because we believe our proprietary Cloudbase™ content and e-commerce management system is unbeatable as a platform on which to build your website or mobile application.